A.R. Lucas Construction – Green Builder in Austin, Texas — A.R. LUCAS CONSTRUCTION CO.
Building spaces that are beautiful, functional—and built to last. Building green is more than just minimizing the use of toxic materials or being mindful of construction waste. While these things are important, we see an even bigger picture: We believe that a well-designed and meticulously crafted space—using long-lasting, high-quality materials—is the best way to contribute to the sustainability of our community. Your home will be treasured for generations. Being conscious of the environment and the footprint we leave are at the heart of our philosophy. We reduce construction waste whenever possible, reclaim materials and put them to better—and more beautiful—use, and are always looking for creative ways to increase efficiencies. 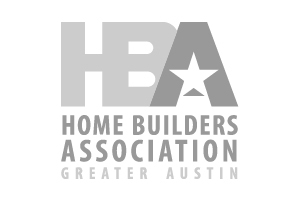 As practitioners and advocates of sustainable building practices, we are proud members of the Austin Green Building Program, which rates new and remodeled homes using sustainable guidelines, and the Central Texas chapter of the U.S. Green Building Council. ©2017 A.R. Lucas Construction Company. All rights reserved.